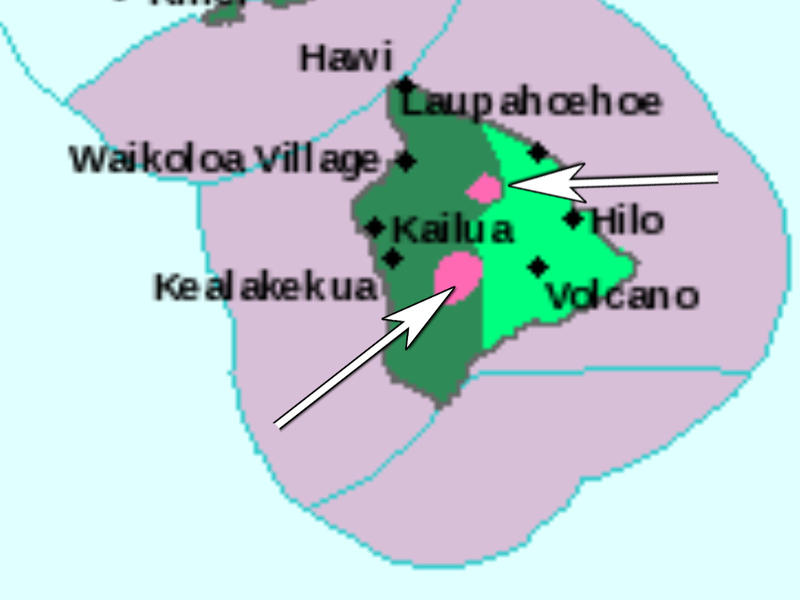 The National Weather Service issued two separate Winter Storm Warnings for the mountaintops on Hawaii's Big Island on Friday. Snow is expected to pile up between 20 and 30 inches through Saturday, and temperatures are likely to be in the mid 20's to lower 30's — even colder when you factor in the 10 to 20 mph winds. 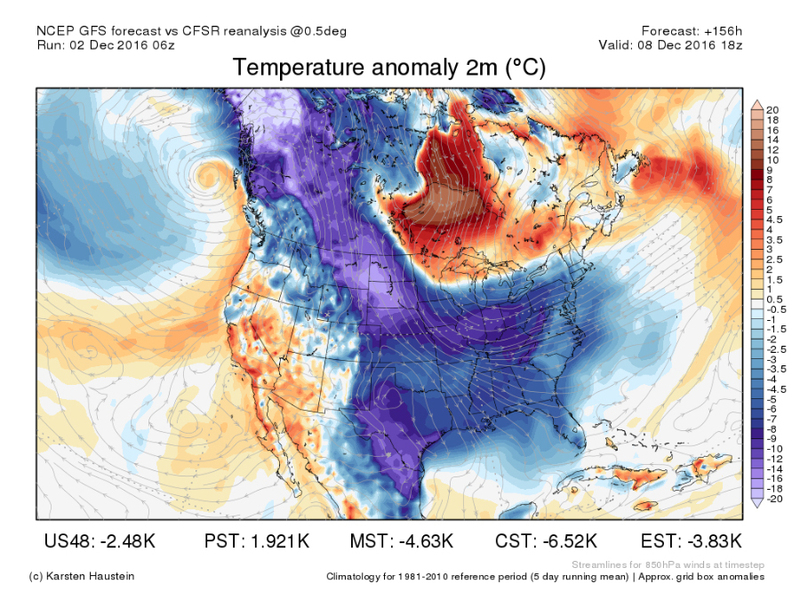 For the rest of the United States, it's about to get even colder — likely the coldest it's been so far this season. Temperatures in some U.S. cities are going to dip into single digits by the middle of next week as arctic air spreads out across the country. As early as Tuesday next week, the western half of the United States will feel temperatures diving 10 to 20 degrees colder than usual for this time of year. By Thursday, the cold air moves fast, spreading out across the entire United States — even Florida. 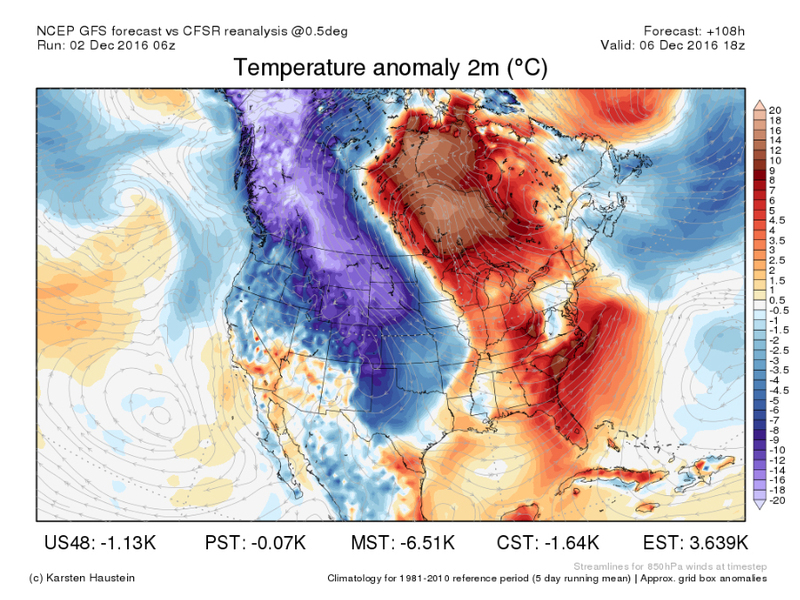 The coldest air will be centered over the Northern Rockies and Northern Plains with temperatures still 10 to 20 degrees colder than normal for early December. This means afternoon highs not even making it to double digits in parts of North Dakota and Montana. More of the Plains and the Midwest won't see temperatures rising above the freezing mark for multiple days in a row. As of right now, no record-breaking low temperatures are forecast in any of those coldest places, but it's likely to feel that much colder after last month's unusually warm November.